Our meal started with a plate of Bean Leave with Garlic Sauce 蒜蓉豆苗. 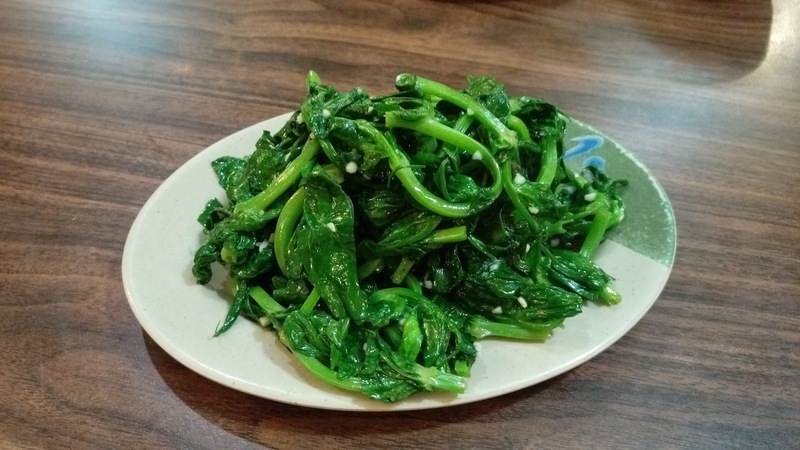 The lightly-salted greens were fresh and crisp with aromatic garlic kicks. 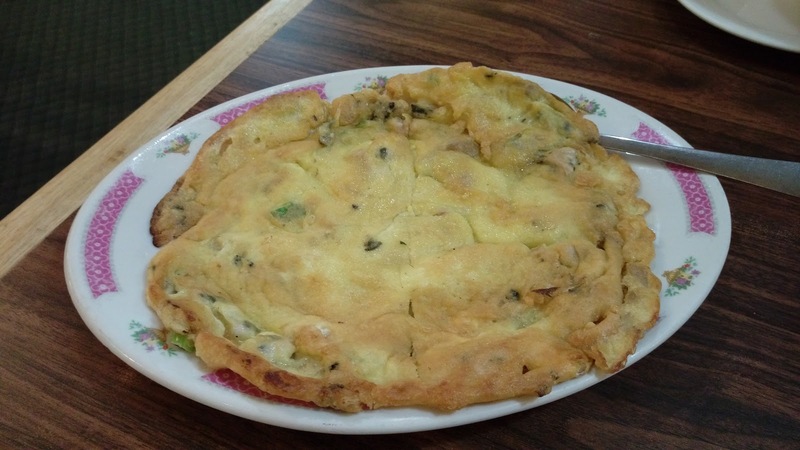 A simple and comforting dish done well. Because we were having plain congee to accompany all the dishes, I allowed Buddha Boy to order two deep-fried items. 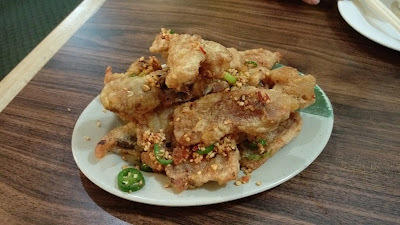 The first was Deep Fried Pork Chops with Peppery Salt 椒鹽肉扒. While the chili and garlic mix gave the package a savory soul, the pork chops were dry and chewy. 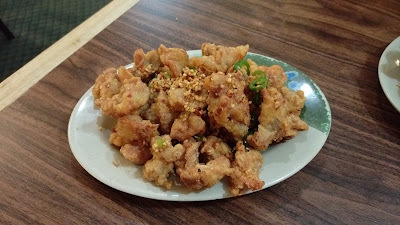 Buddha Boy's second deep-fried choice was Deep Fried Chicken Joints with Peppery Salt 椒鹽雞膝. Each chunky piece of chicken knuckles had a moist and tender crunch that's delicately coated with a gentle crisp. The finishing blend of chili and garlic did the wonders of beautifying the dish with spicy and garlicky kicks. 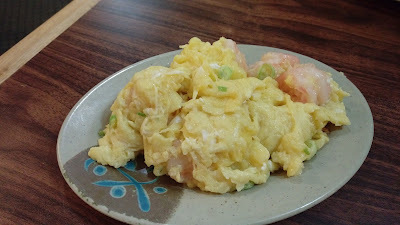 Of course, Buddha Boy must have his staple of Prawns with Scrambled Egg 滑蛋蝦球, his all-time-favorite at this divey restaurant. The creamy and smooth scrambled eggs accompanied by generous amount of sizeable prawns never failed to appease Buddha Boy. 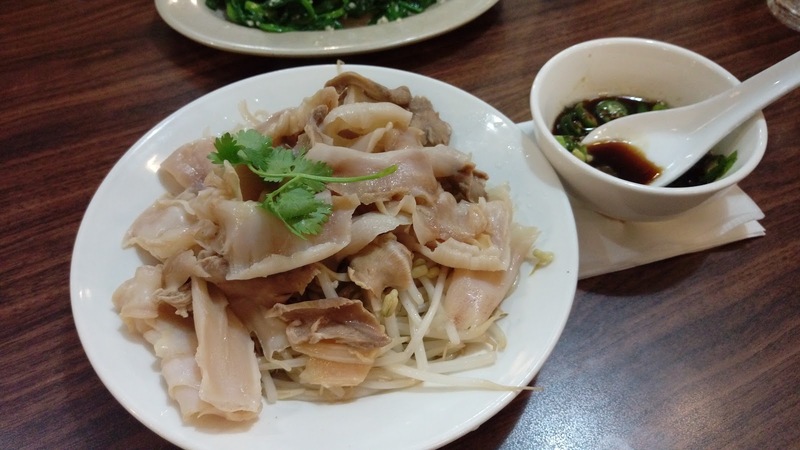 I have been craving for some Blanched Geoduck Slices 白灼象拔蚌 for a very long time. Though these were previously frozen, it did satisfy my appetite. 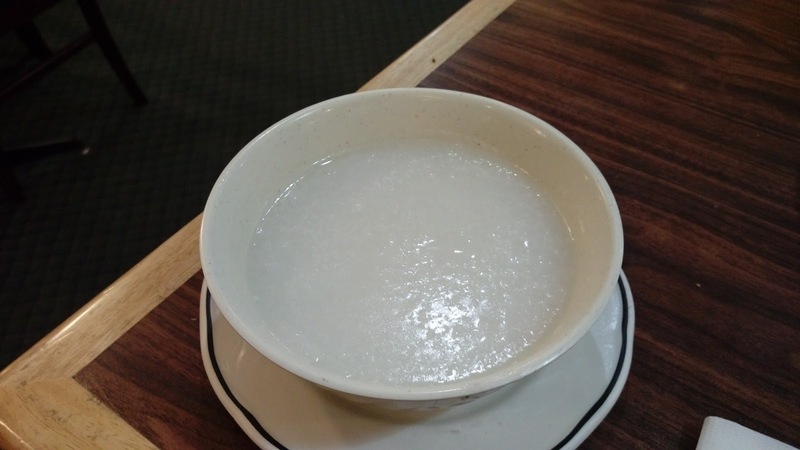 Our Plain Congee 白粥 was complimentary because we ordered over four items from its Night Snack menu. 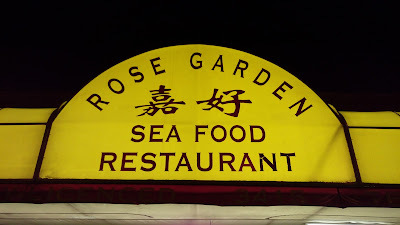 Usually, the Night Snack menu at Rose Garden runs from 10pm to 2am daily. 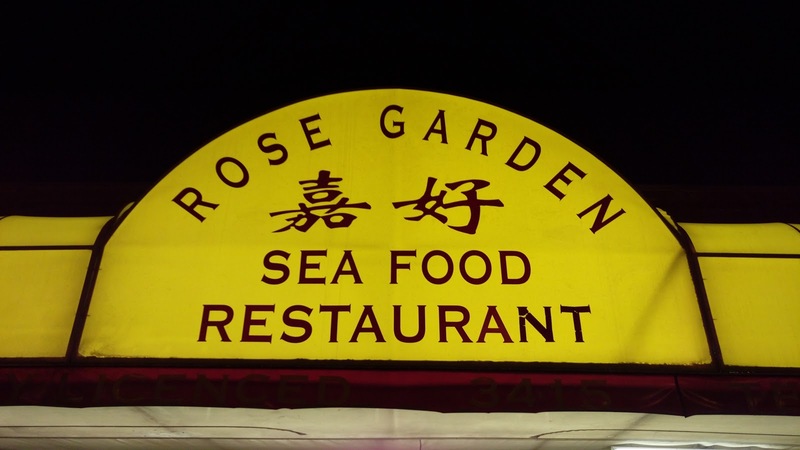 We arrived at about 9:20pm and were given the privilege to order from its late-night menu. But because we arrived early, the rice porridge was not quite ready until almost towards the end of our meal. Nonetheless, we enjoyed our visit.